A small but adequate team joined our GWT Ranger at Stenders Quarry. We concentrated on the left hand side of the hill from the gates clearing the small but tightly packed trees there. 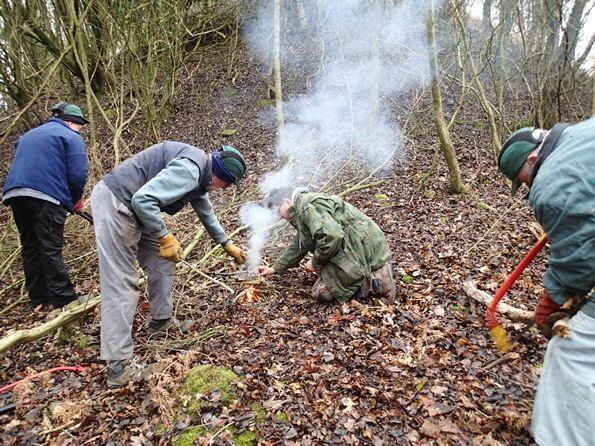 Our ranger worked extremely hard cutting down the larger trees with a chain saw followed by the team removing the branches to burn on the fire.. The lighting of the fire! 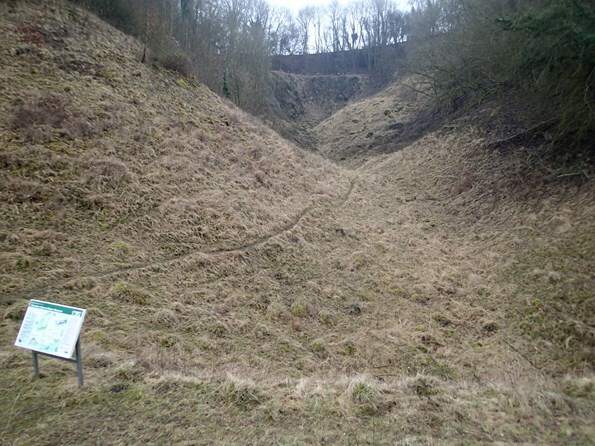 This is the main quarry as seen in the middle of winter and we have made fantastic progress in earlier years to expose the limestone grassland. The extremely shy Hebridean sheep kept away from us during the day.